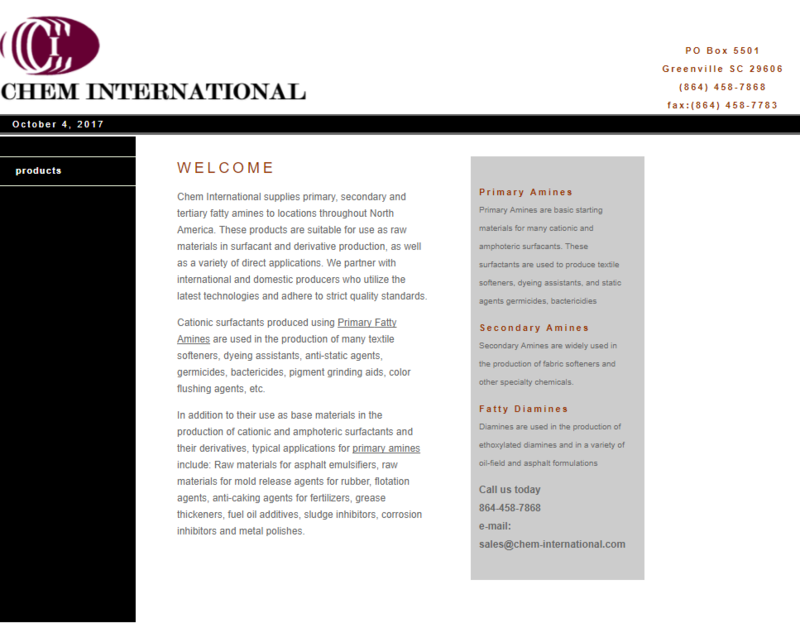 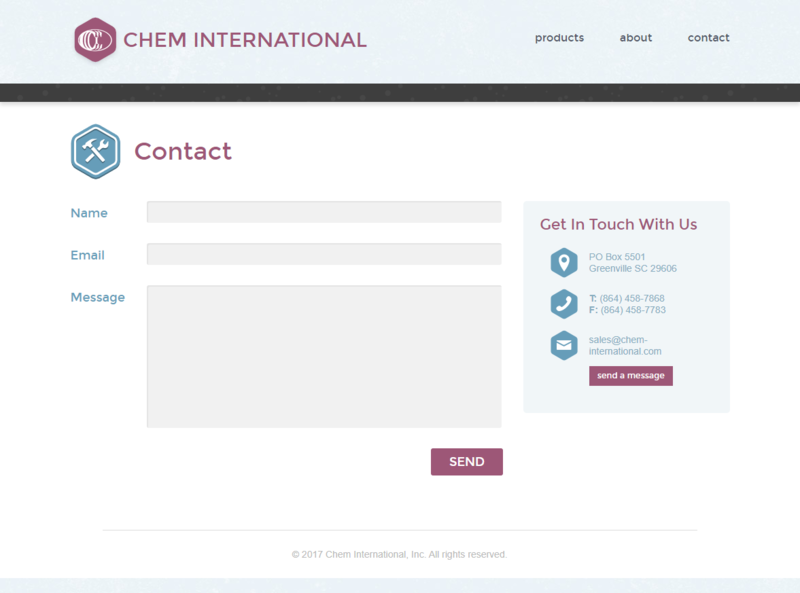 Chem International is a local industrial chemical company in Greenville, SC. 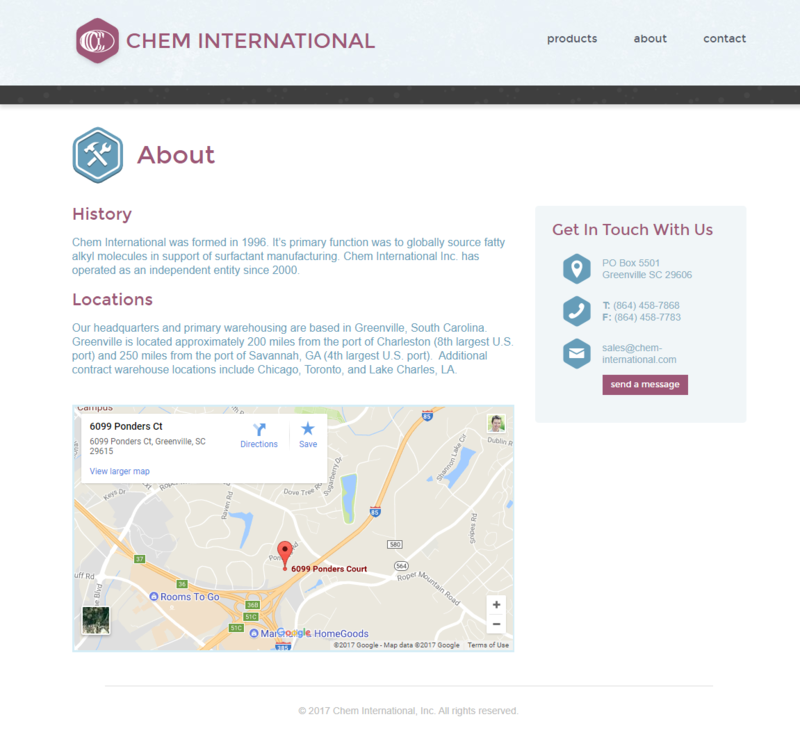 Their web team reached out to me for a redesign of their very dated website, with which they wanted to address both the lack of engaging visual design, and the fact that the website was not mobile-friendly. 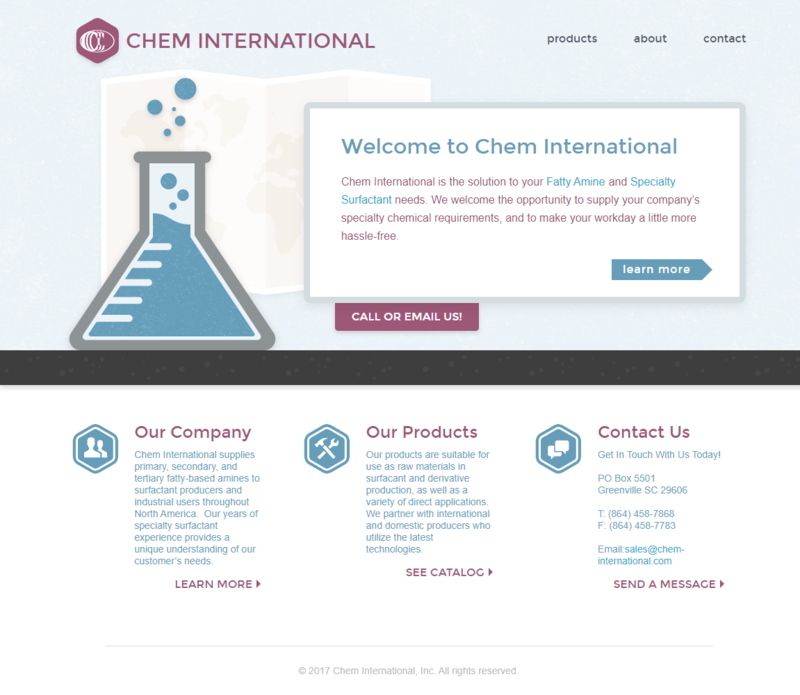 I provided them with a brand new design, custom illustration, and a set of front-end HTML and SASS templates that they could integrate with their back end content management system, to bring the new chem-international.com to life.